If you wish to return an item(s) from your online order, please let us know immediately. We only accept returns for unopened (bottles/packages) and unused item(s). Please pack the contents carefully to avoid damage and retain a copy of the invoice for your records. To protect you from package loss and to ensure prompt delivery, we recommend shipping your return package via UPS or insured Parcel Post. Please retain receipts and tracking information for your records. Regrettably, return shipping and handling charges are not refundable. In the case of damaged items, please refer to the Damaged Items section below. 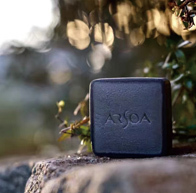 Please note: Products purchased at ARSOA-USA.com are not accepted for return at any ARSOA retail salons. If you have questions about returns, please contact us by email at international@arsoa.co.jp. When your order arrives, please inspect the carton for any damage that may have occurred during shipment. It is normal for the shipping carton to show some wear, however, if damage occurred to the item(s) in your shipment, please contact us immediately at international@arsoa.co.jp. Please provide the order number along with your email address and phone number for fastest service. To ensure prompt resolution, please retain the shipping box, packing materials and the damaged items for inspection by the carrier.